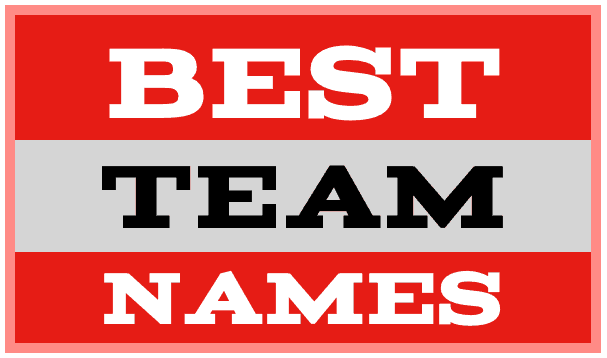 When your sports team, business group or organization is looking to come up some best team names ideas, things can get serious quickly. You want your name to shine above the others. It helps to have many choices to consider. That’s where we can help. Please review the choices on this page and others to come up for the perfect name for your group. The List below this menu includes many names for sports and business groups. The menu items immediately below are listed by sport and by theme. Is it easy to say? Usually, shorter is better, but keep an open mind. Is it memorable? Is it catchy? Will folks remember it? Does it describe your team? Is it relevant? Is it not overused? Names that are too common, despite being strong, lose their appeal. Be distinctive. Does it lend itself to a fun logo? The best combination is a great name and a great logo. Some team names lend themselves better to logos than others. Consider that when deciding on a name. Your team name might make appearances on the league schedule, tournament schedules, t-shirts, warm-ups, sweatshirts and other garb. Also, your name will be associated with your group in conversations within the team and outside of the team. Choose a distinctive name that folks can rally behind.